The Essex Railway Station is a restored historic site dating back to 1887 when the building was constructed and Essex was the transportation hub of Essex county. The building suffered major damage in 1907 when a rail car filled with nitro-glycerin exploded. The building was restored at that time and continued to serve the community for many years. Eventually, passenger service was discontinued and the building stood empty. Efforts to preserve the building began in 1975 and continued until the completion of the restoration in 1994. The station contains a variety of railway memorabilia and artifacts of historical interest. Visitors can take self directed tours by means of a tour booklet, or group tours can be arranged if prior notice is given. A small gift shop is located on the premises and various items from local artists and craftsmen are available for purchase. The main room in the station is available for rental and can accommodate groups in the 40 to 50 range. Food service is provided through a caterer. 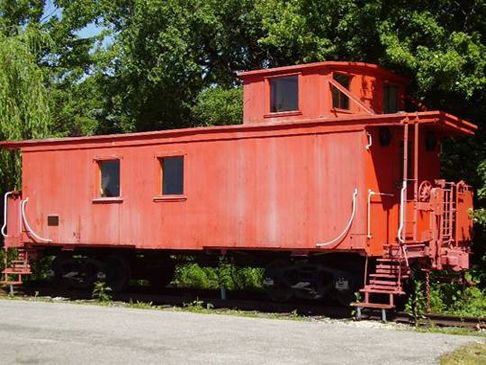 The Essex Railway Station is operated by Heritage Essex, a non-profit body that is dedicated to the preservation of heritage sites, articles, and artifacts throughout the town of Essex. This is the one and only official website for the station, and should be considered the place to get the most up‑to‑date, accurate information. Today, the newly refurbished railway station stands as a reminder of past days, when a new station was forged by railways and their builders.